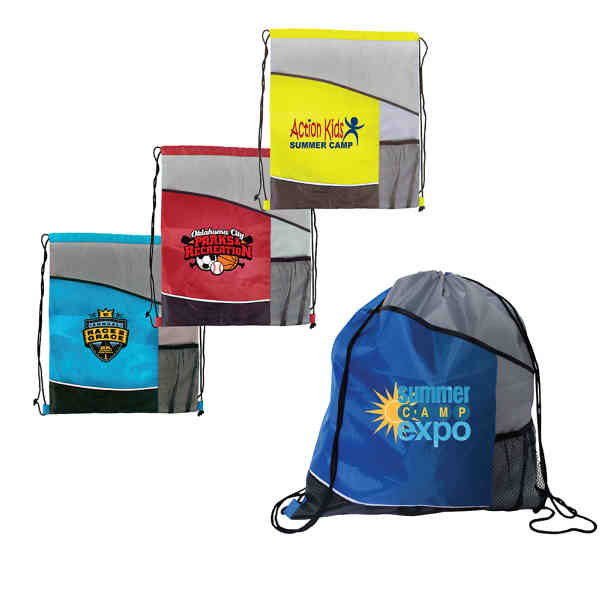 Perfect for gyms, universities, sports teams and trade shows giveaways, this Varsity Drawstring Backpack is made of 210 denier polyester material. Measuring 15" x 18", this bag has a maximum weight recommendation of 25 lbs. Available in different colors to choose from, a full color digital imprint is offered for you to add your company name of custom logo. Carry your brand further with this handy drawstring backpack! Size: 15 " x 18 "
Ship Weight:13 lbs, Approximately 13 lbs. per 100 pieces.